It’s actually not going to explode. It looks lovely. I just had to use that headline. 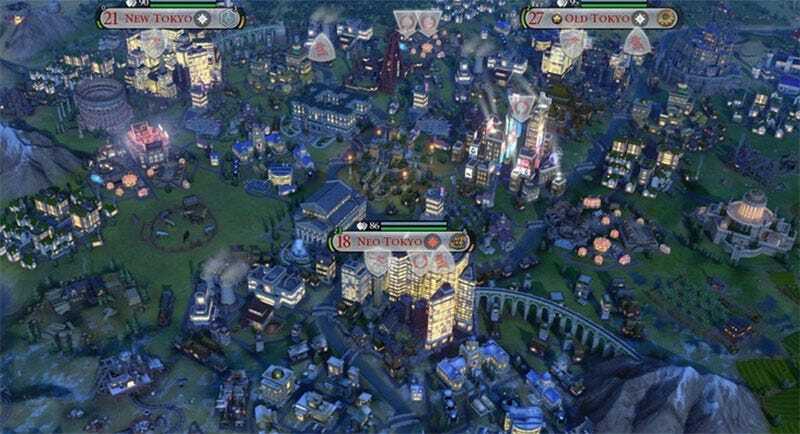 One of the more pleasant surprises with how good Civ VI has been out of the gates has been the game’s urban planning system. Something Haphaz77 has shown off here to terrific effect. This is a game he won as Japan (over 300 turns) using a modified version of the “one city rule”, something that used to a very fun Civ V game mode but which sadly isn’t present in Civ VI. Of course, it’s not one city here, as it’s technically three. But he’s built the three cities so close together that, like the actual Tokyo and Yokohama, each district has grown into and is playing off another, forming a megalopolis that managed to win the a cultural victory, presumably by actually hosting the 2020 Olympic games, rather than being annihilated in a nuclear fireball. I’m finding that the more I’m playing Civ VI, the more I’m burrowing inside the district system and the finer points of how it works. It’s absolutely incredible that a game which is already so dense and good has this whole other SimCity-lite tucked away inside it just waiting to be explored.